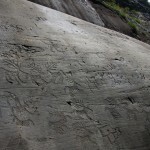 Paspardo rock art, because of its considerable extension, is divided into several sub–areas, each one generally characterized by subjects or carving styles quite unique among the other rock art sites of the Middle Valley. 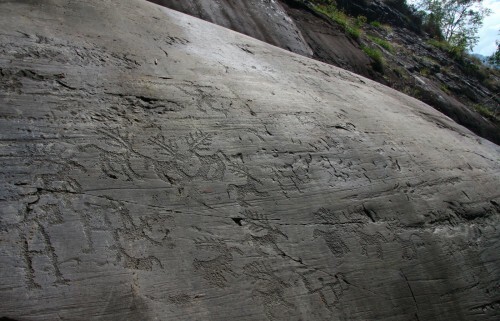 Although several rock art areas have been discovered and hundreds of carved surfaces are still under study by the archaeologists only a little part of this extraordinary heritage is open to the visit and supplied with routes and touristic panels. 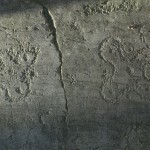 On the whole, there is a clear distinction between a group of sites placed near the Paspardo village (areas of Castagneto/la Bolp/In Vall, Plas–Capitello dei Due Pini, Dos Sottolaiolo) and the hundreds engraved rocks scattered along the mountain–side between Paspardo and Capo di Ponte (a big area generically named Vite–Deria). Within the latter the only route open to the public is Vite–‘Al de Plaha. The entrance to the area, a small terrace formed by glacier action, with a wonderful panoramic view on the Middle Valley, can be easily reached driving for a few hundred metres along the “Strada della Deria”, which directly links Paspardo and Capo di Ponte. 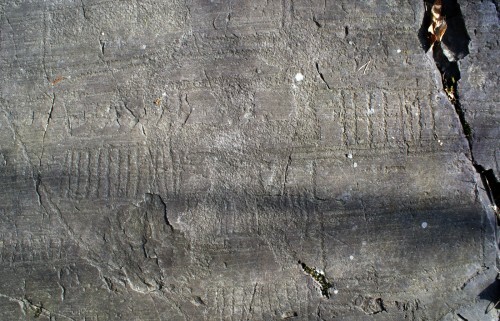 A large parking area allows to leave the car and go on by foot through the engraved rocks included in the site. Among the most relevant rocks there are R. 1, carved with two four–petals Camunian roses and expanded–blade axes compositions dating back to the Late Iron Age; R. 2, with plenty of Iron Age warriors and some shovel figures; R. 4, also showing shovels, warriors and some Historic Age crosses, and finally, R. 5, dominated by a large image of a warrior engraved in a peculiar local style and almost identical to the ones on the above area of In Vall. After passing over the parking area next to the playground on the western side of Paspardo village, the path goes across a thick wood of centuries–old chestnut trees. 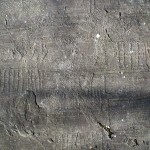 The area below the path, called Castagneto (the Italian for “chestnut tree wood”), includes a dozen of carved rocks. The only one open to visit is R. 1, situated in the playground and nearly covered by a house built in recent times. 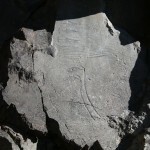 Studied by the CCSP as early as the ‘60s and better known as the “Rock of the Spirits”, its surface is marked by a large and apparently confused group of pecked figures recently identified as a likely “topographic representation” of the most ancient period (Late Neolithic–Early Copper Age). The geometric composition theme, as already told, is shared by the whole Paspardo area and can be found also in some of the few surfaces forming the Castagneto site, today mostly hidden by a thick vegetation a little more downhill. The path goes on southward crossing the area of La Bolp, where next to the carved rocks (Iron Age warriors and crosses) there is a little rest area and a noteworthy view point on the valley below. In addition, the pieces of a Copper Age statue–steles come from this site, while in recent times a coeval monumental composition has been discovered on a boulder not so far from the place where the statue–stele fragments have been found. After about 200 mt. a detour to the right goes down along some steep stairs and leads to the In Vall site, where one of the most interesting rock of the area, the great R. 4, can be observed. On its surface there are more than 700 figures and some subjects definitely peculiar to Paspardo. Among these it is worth mentioning the three large warriors armed with “ox leather” shields (end of the 6th century BC), which have similar examples also in the nearby area of Dos Sottolaiolo and Vite–‘Al de Fuos. Another interesting feature of the same rock is the high frequency of expanded–bladed axes dating back to the Late Iron Age, being again this subject a typical theme of several Paspardo sites. 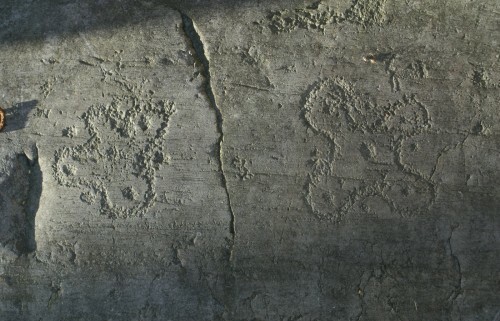 Among the other petroglyphs it is possible to see also a spiral and some praying figures (scarce in Paspardo), which constitute the main subjects of the next R. 5, in this case in superimposition with several shovels. Certainly one of the best–known sites at Paspardo the area of Plas is especially known for its Copper Age composition on stone wall (R. 1) called the “Rock of the Five Daggers” (or also “Capitello dei Due Pini”, meaning “Chapel of the Two Pines”). The rock was discovered by Emmanuel Anati in 1957 and would later become the logo of the Centro Camuno di Studi Preistorici in 1964. Next to the “Rock of the Five Daggers” there is the “Rock of the Sun” (R. 2), a rock wall marked by other Copper Age carvings, in this case more scattered and hard to be observed comparing to the previous rock. The Copper Age (3rd millennium BC) dating of the complex is unquestionably proved by the presence of triangular–bladed dagger with half–circle pommel (Remedello type), already well–known because of some examples found in many graves in the necropolis of Remedello Sotto (Brescia) and dating back between 2800 and 2400 BC. Both surfaces are marked by the graphic concepts which also stress, with the same figurative range, the statue–steles discovered up to now in sites such as Ossimo, Borno and Cemmo. This engraving repertoire includes the radiant sun, weapons compositions (daggers and halberds), rows of human beings with open arms and, finally, animals. Among the latter, a special role must have been played by the male deer, whose antlers are often associated with the solar disc and whose use would last all along the Iron Age. 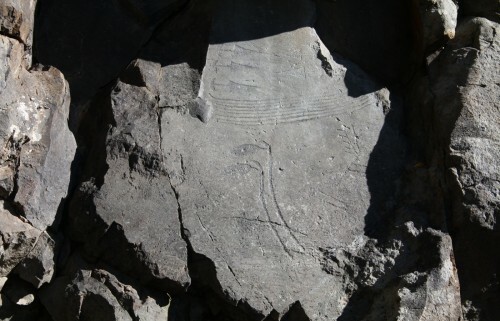 A few other nearby rocks — a part a small bedrock carved with schematic praying figures which constitute the first example of rock art to be mentioned at Plas in the early ‘50s by Piero Leonardi — show likely only Historic Age petroglyphs. The site of ‘Al de Plaha constitutes a little part of the large rock art area (including more than 100 rocks) which stretches on the rocks of Vite–Deria (below the Paspardo village). Several bedrocks, discovered only in recent times during the annual archaeological campaigns and still under study, are placed along the historic path which goes directly down to the bottom of the valley (Biàl do le Scale). Entered from the small clearing occupied by a small chapel, the site includes about twenty carved rocks, half of which can be observed through the visiting route. The first rock along the route (R. 6), rising near the cobbled access way, is characterized by “topographic” compositions likely dating back to the most ancient phases (Late Neolithic–Early Copper Age). The path goes on to the left and reaches R. 11, a rock decorated with a beautiful sequence of warriors armed with spears and “ox leather” shields (Late Iron Age). Few meters further R. 13 rises, once again carved with a large “topographic” composition formed by doubled–rectangle elements, grids, pecked circles and surrounded by a perimeter line (Copper Age). Going back to the main route the path heads south–west and meets R. 7, an extraordinary surface engraved with Middle Ages figures (a keyhole and two keys associated with a date of the end of the 15th century), linked to prehistoric elements such as a horseman, an expanded–blade axe, a footprint (quite rare at Paspardo) and some warriors.